Peerless SF16D Display-Specific Flat Wall Mount up to 71"
Requires screen-specific adapter to be purchased separately. The Dedicated line provides display-specific solutions for mounting medium to large sized displays. It is compatible with Peerless-AV’s comprehensive inventory of display-specific PLP adaptor plates, ensuring a precise fit for almost any display. 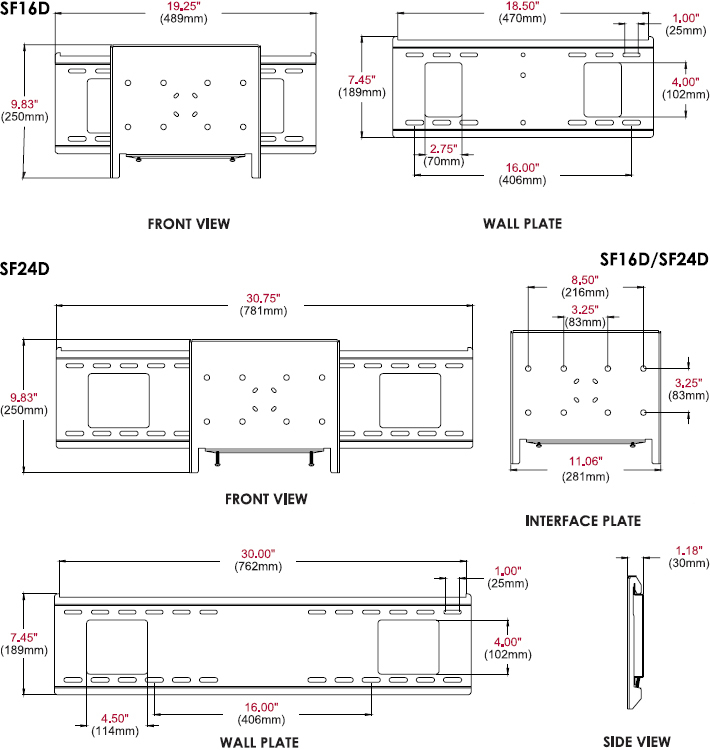 Additionally, installers can choose from either a wall plate for 16" stud centers, perfect for any portrait-style applications, or a more versatile wall plate for 16"-24" stud centers. All models ship pre-assembled for fast and easy installation. Monitor Size SF16D: 22" to 71", SF24D: 32" to 71"